If Norse mythology and Video Slots are two of your passions, then Hall of Gods from Net Entertainment is a game that is well worth checking out. Hall of Gods is a great 5 reel, three row video slot by NetEnt. Hall of Gods has a Norse mythology theme and features classic characters from the Norse mythos such as Odin, Freya, Loki, Thor and Idun. The game also features Norse themed jewellery, weapons and artefacts. Hall of Gods features three different progressive jackpots, free spins, wild symbols and a bonus mini game. Thinking of taking your voyage on a Viking ship, surrounded by wind, rain and sea as you plunder the riches of the gods? Read on to get the full picture in our Hall Gods video slot review below. Find out how to the Hall of Gods slot is structured to get the most out of your game. Check out the game symbols and how they can work in your favour of building the best winning combinations along with the maximum and minimum betting allowances, pay table structures, progressive jackpot amounts and more below. In total, Hall of Gods makes use of thirteen games symbols while there are three functional symbols that perform special functions. These are the Scatter, Wild and Bonus symbols. The ten remaining symbols are divided into five higher paying symbols and five lower paying symbols. The five higher paying symbols are comprised of Gods from the Norse mythos namely Odin, Thor, Freya, Loki and Idun. The five lower paying symbols are made up of various Norse themed jewellery, weapons or artefacts. These five lower paying symbols are a platinum and gold ring, Thor’s Hammer, A star necklace, a Norse axe and a chest of apples. I provide a complete list of details for each symbol below. The Scatter symbol features a picture of Huginn and Muninn the two raven companions to Odin who represented his ‘Memory’ and ‘Thought’. The scatter symbol will activate the free spin feature whenever three or more of them appear anywhere within the main game. 10/15/20 free spins can be won depending on whether three, four or five scatter symbols appear respectively. All wins except for jackpot wins are tripled during free spins and more free spins can be won during the free spin phase of the game. The Wild symbol is a picture of a fearsome dragonand it substitutes for any other symbol except for the Scatter and Bonus symbols. When a Wild dragon appears on reels 2, 3 or 4 the Dragon symbol will expand to cover the whole reel – substituting appropriately to complete winning payline combinations. 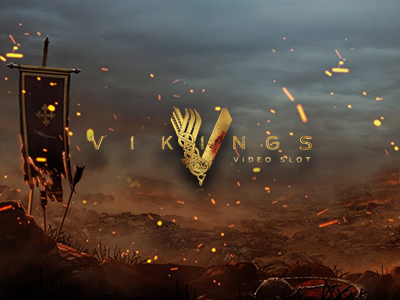 The Bonus symbol shows a hammer smashing a shield and activates the Bonus Game to give players the chance to win spot coin prizes as well as one of the three available progressive jackpots.If three or more Bonus symbols land anywhere on reels 1 to 5 the bonus feature will unlock. The Bonus Game requires players to break shields, revealing prizes or jackpot tokens beneath each shield. 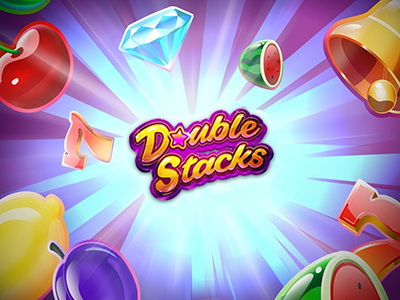 As soon as a player reveals three identical prizes or tokens the bonus game ends and the player collects the appropriate rewards. 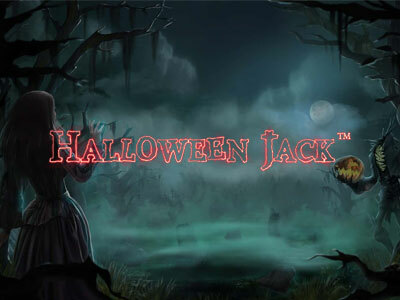 The three progressive jackpots that are available are called the “Mini jackpot” the “Midi jackpot” and the “Mega Jackpot” each progressive gives the chance to win a small, medium or huge cash jackpot respectively. The Odin Symbolpays either 10x/50x/150x/4000x your base bet in coins depending on whether two, three, four or five Odin symbols land on a single payline. The Thor Symbolpays either 7x/40x/120x/2000x your base bet in coins depending on whether two, three, four or five Thor symbols land on a single payline. The Freya Symbolpays either 5x/30x/100x/1500x your base bet in coins depending on whether two, three, four or five Freya symbols land on a single payline. The Loki Symbol pays either 5x/20x/70x/1000x your base bet in coins depending on whether two, three, four or five Loki symbols land on a single payline. The Idun Symbol pays either 10x/50x/150x your base bet in coins depending on whether three, four or five Idun symbols land on a single payline. The Ring Symbol pays either 8x/30x/120x your base bet in coins depending on whether three, four or five Ring symbols land on a single payline. The Thor’s Hammer Symbol pays either 6x/25x/100x your base bet in coins depending on whether three, four or five Thor’s Hammer symbols land on a single payline. The Star Necklace Symbol pays either 5x/20x/75x your base bet in coins depending on whether three, four or five Star Necklace symbols land on a single payline. The Norse Axe Symbol pays either 4x/15x/50x your base bet in coins depending on whether three, four or five Norse Axe symbols land on a single payline. The Chest of Apples Symbol pays either 3x/10x/25x your base bet in coins depending on whether three, four or five Chest of Apples symbols land on a single payline. Hall of Gods offers flexible betting options with a coin size that ranges from 0.01 up to 0.50 as well as a minimum bet of 1 coin per line anda maximum bet of 5 coins per line. Max Bet activates all twenty paylines at the maximum payline level bringing the maximum bet to exactly 100 coins per spin at a coin value of 0.50. Every spin has a chance to win one of three progressive jackpots; however the chances of winning a progressive jackpot are directly proportional to the size of your bet.You cannot vary the number of active paylines, but you can vary the amount bet per payline within a set range this makes the game accessible to all playing budgets. The Hall of Gods pay table is crisply laid out in attractive, fully illustrated detail over three pages. The instructions and information are clearly presented, lucid and informative. You should have no problems finding any information you might seek. We referred to the paytable repeatedly during our play test of this game and found it particularly clear and helpful. Furthermore, we found only one Bonus game in Hall of Gods but it was more than enough as it kept coming up on a regular basis. Having a regular shot at a massive progressive jackpot prize is very exciting. The animation in Hall of Gods is slick and attractive. From time to time, you may find the Wild Dragons expanded to fill the slot reels when they substituted. Everything is rendered in rich hues and the animations are not overly flashy so as to be a distraction. Everything is tastefully and seamlessly woven into a coherent whole which always renders a deeply immersive experience. The theoretical Return to Player (RTP) over infinite spins is reported at 95.5% with micro fluctuations depending on the size of the progressive jackpot amounts at any given time.95.5% That is good value and we highly recommend giving Hall of Gods a try if upper limit RTP rates are important to you. Hall of Gods is a very well optimised game. 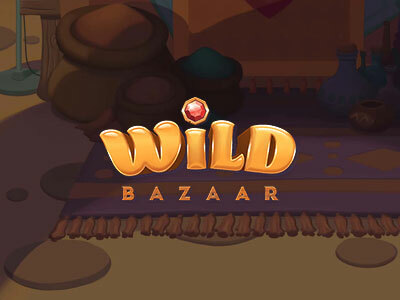 The mobile version has all the features of the desktop version which includes a rich, fully textured, rendered and animated video slot experience. Almost all modern smart based phones able to use a browser or operate apps off the iTunes or Google Play Store should be able to run this game without any performance or compatibility issues whatsoever. Hall of Gods is a solid offering from Netent and gives a maturely rendered, immersive gaming experience. Based on the RTP alone we would highly recommend this game but, If you’re a fan of Norse mythology and feel like plundering riches for the gods, then you should definitely give this great slot a spin. Play Hall of Gods online today! Play right now at any of our recommended online casinos. We select the very best casinos offering the most attractive Welcome Bonus offers, free spins and no deposit bonus offers. We select casinos based on their game selection, customer service quality levels and the flexibility of their secure banking options.